When a Samaritan village once rejected Jesus because he was heading to Jerusalem, his disciples James and John asked for permission to call fire from heaven and consume the people of this village. Luke says that Jesus rebuked them, and they then went on to another village. On the night in which Jesus was arrested, Luke shares that one of his disciples struck the servant of the high priest with a sword and cut off his right ear. Jesus, however, responded: “No more of this!” In both instances, Jesus refused to return violence for violence. In the first case, he chose to go to another village. And in the second case, he refused to intensify violence by preventing his disciples from fighting to defend him. 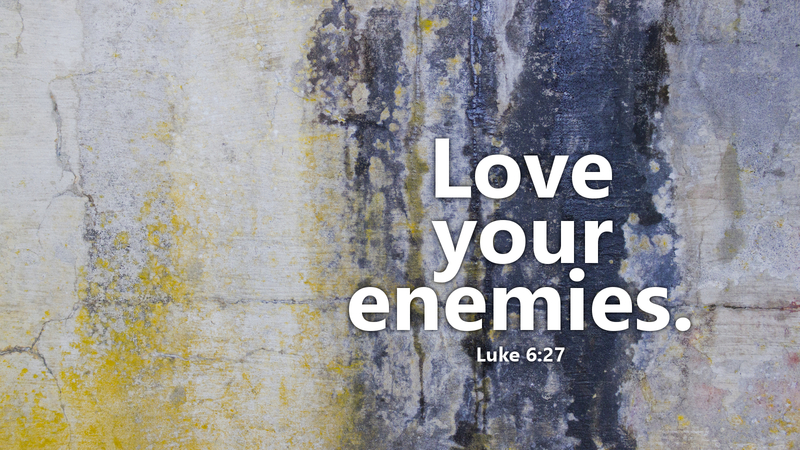 The Lord Jesus loved his enemies and desired, not their death, but their conversion. Loving one’s enemies, doing good to those who abuse you, blessing those who curse you, and praying for those who abuse you is not accepting to be a victim of violence. It is taking a different course of action that prevents violence from being returned. It is acting like Jesus when a Samaritan village rejected him and when one of his disciples began to fight for him. Prayer: Heavenly Father, help me to love those who do not love me and to choose the path of nonviolence. Amen.